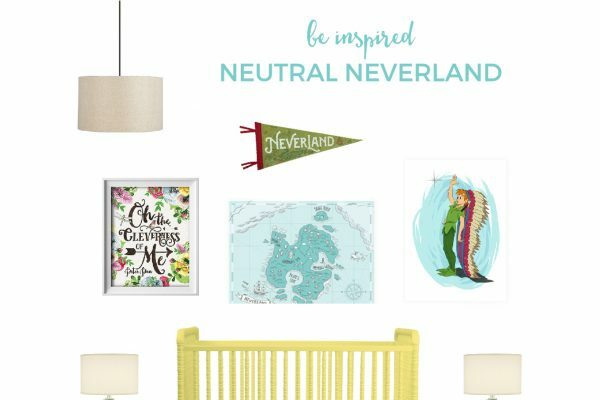 Inside: Decorate your kid’s room with these adorable Where the Wild Things Are free printables They’re going to love this free nursery art! Classic children’s books remind me of a simpler time. A time when I was a kid; where I played in my backyard making mud pies and make believe. The roar of social media wasn’t around to distract and interfere. Instead, the roar was from Aslan, King of Narnia. I can picture myself curled up on the couch soaking up every word of The Lion, The Witch and The Wardrobe. I wanted to be Lucy. When I was reading, I was Lucy. And that was just one of the classics. Now I’m a mom and I get to pass on those fond memories to my children. To help immerse them in a fantasy world that is unbound by the world. One that exists solely in their mind. Passing on a love of reading and creativity is one of my ultimate goals. And one of the best ways to accomplish that goal is to read to my boys early on and get them excited, which is why I’ve collected nine of my favorite classic children’s book art print. 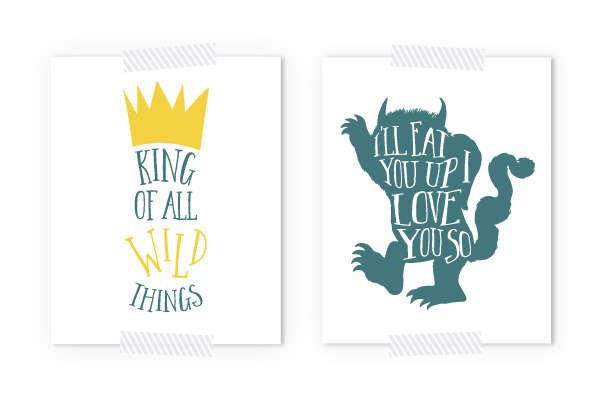 These prints are perfect for a library-themed nursery or kid’s bedroom or even to decorate a Wild Things birthday party. 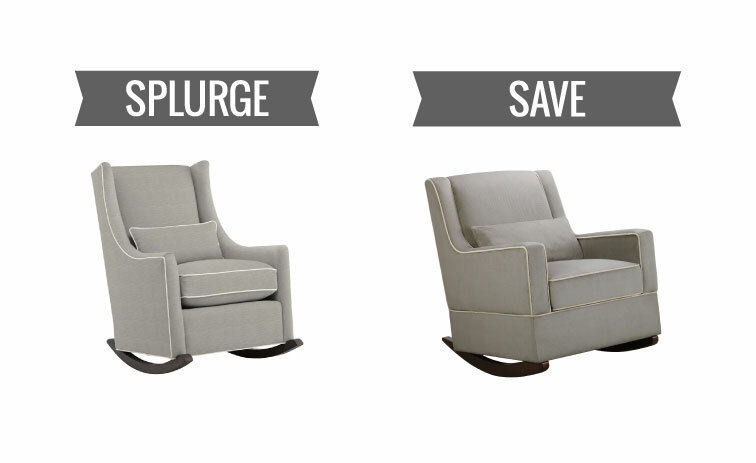 Use them to adorn their walls and get those imaginations soaring! Love it! I have two Wild Things of my own and these would be perfect in their room! Thanks for sharing! Haha, you’re welcome! What’re their ages Jen? 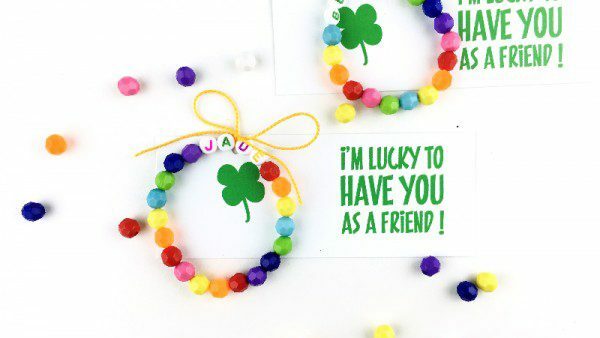 I’ll have to make these for our Hanukkah party gift bags. Thanks for sharing on Show and Tell. Ohh, you’re so welcome Rachel. Just curious, what kind of frames did you go with? Do you know if these are still available to print? 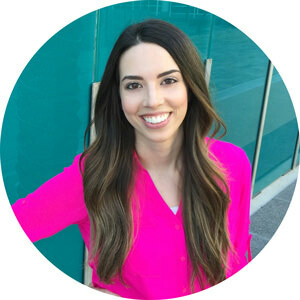 Hi Kelli! Yes, if you scroll towards the bottom of the page there’s a form that if you enter your email in the link will be sent directly to you. Hi Sam. I’m trying to print the free where the wild things are art work but I can’t seem to be able to. Can you help please. Not sure what I’m doing wrong. Thanks! Hey Lisa! Umm, so I’m not sure what’s going on, but if you give me more info I might be able to help. All you should have to do is enter your email in the form at the bottom of the page and the link will be emailed directly to you. 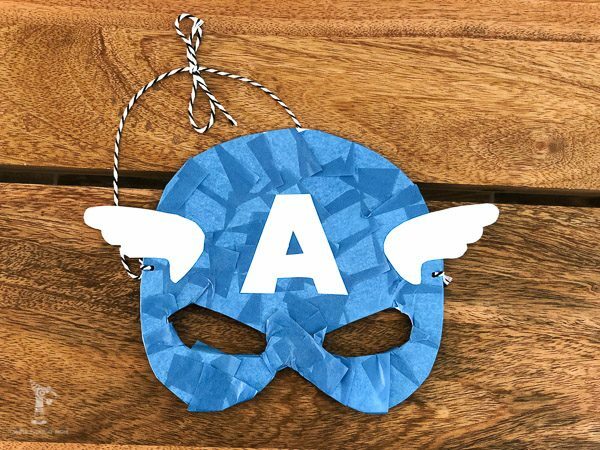 I am doing this theme for my little one’s 1st birthday. Are these still available to print? 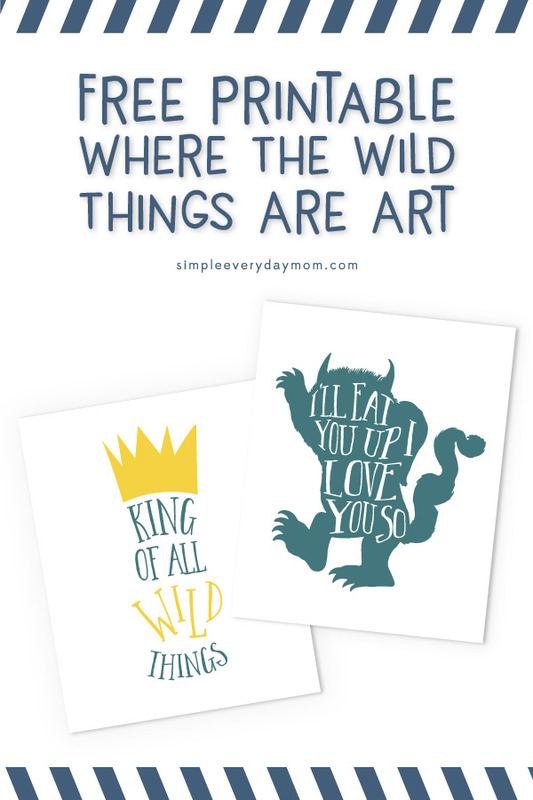 These where the wild things are printables will be perfect for my sons first birthday party. Thank you! Yay, so glad to hear that!! Hey Hazel! Yes, just enter your email in the form at the bottom of the post and you’ll receive a link to the download. Also are these still available to download? Hey Melissa! Yes! Just enter your email in the form at the bottom and the link will be emailed to you. Hi I am doing this theme for my sons bday. Can i have the printables? Hey Jessica! Yes, of course. Just enter your email in the form at the bottom of the page and the link will be emailed to you. hi, i dont see the pink button can you email the file? Yay, so glad you can use them Lola! Would it be possible to send me the prints for “Where the wild things are”? Thank you! I love your printables sooooooooo much and am designing my son’s whole room around them. Thank you so much for sharing your hard work with those of us who have no talent to actually make them ourselves! Please email me the free downloads for Where the Wild Things Are. Thanks so much. Love them for my Grandson’s 1st Birthday! You’re so welcome Sara! Glad you can use them!! Hi! These are really cute! We’re throwing a “Wild Rumpus” baby shower for my sister/ nephew on the way 🙂 could I please have the link to the free Wild Things printables? Thank you!! Oh, that sounds fun! Of course; just enter your email in the form at the bottom of the page and the link will be emailed to you. These will be perfect for a baby shower I am planning with a wild things theme! Can’t wait to print these!